Fresh up on GitHub, "WinAppDriver UI Recorder" is described by Microsoft's Hassan Uraizee as helping users “easily create automated UI tests”. 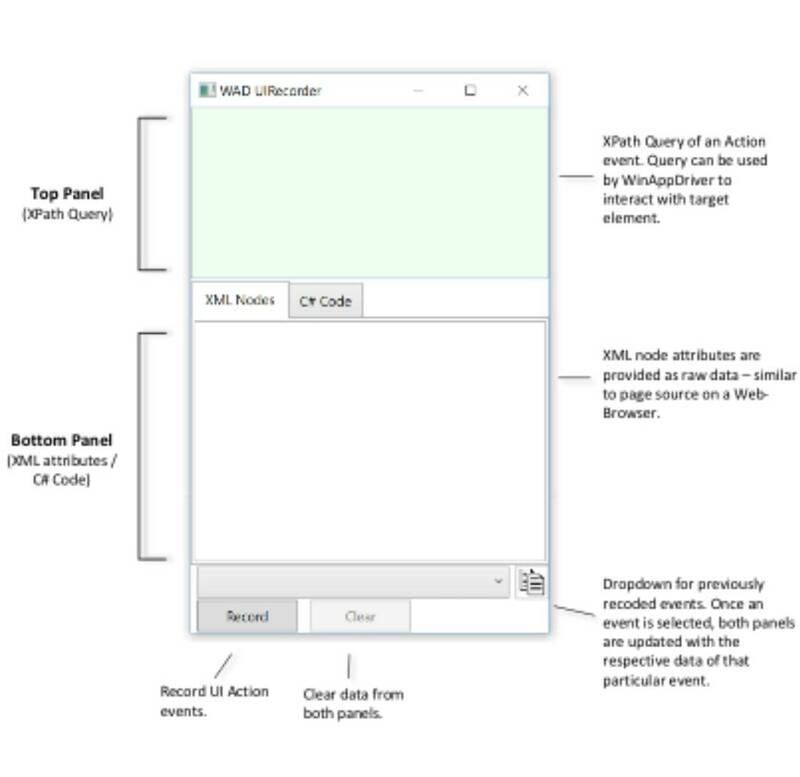 Hence the UI Recorder retrieves XPath expressions when the developer views an element; and, when it's in recorder mode, it will generate C# code for actions such as a mouse click. ”UI Recorder tracks both keyboard and mouse interactions against an application interface—representing a UI action,” Uraizee's post explained. There's a dropdown for previously recorded events.